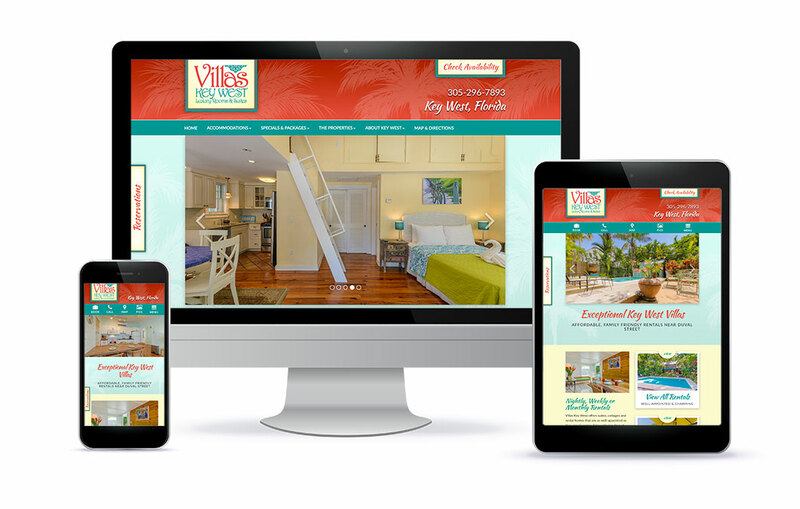 As our second opportunity arose to design another Key West lodging site, we jumped at the chance. 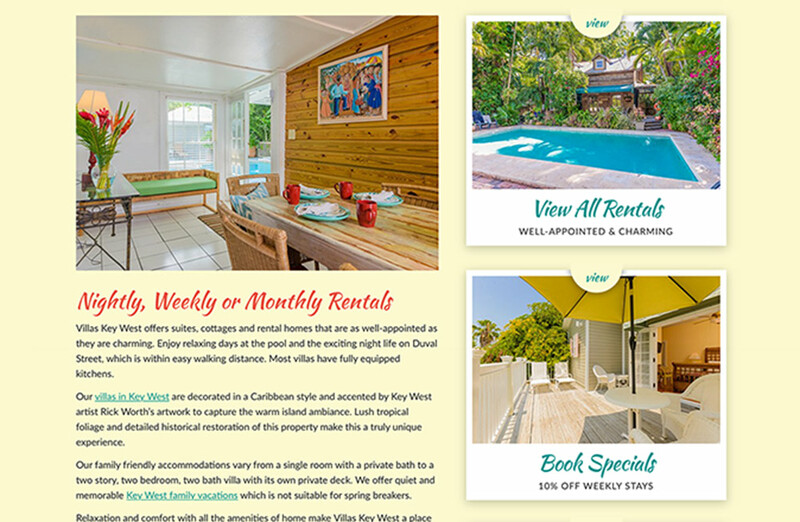 Generally, beachy and tropical websites are always fun to create! The villas in Key West was no exception. However, when owner, Sam, came to us his current site was woefully falling behind the competition. 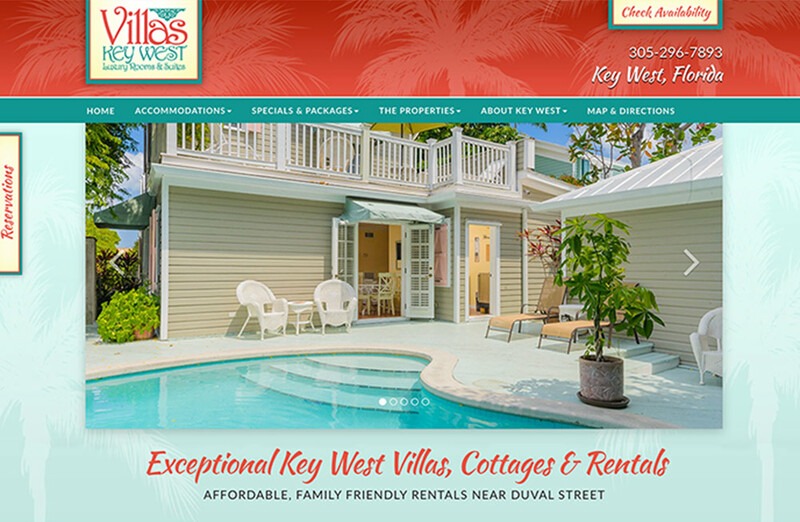 Despite his fantastic location right in the heart of Key West off Duval Street, his occupancy and revenue goals were not being met. 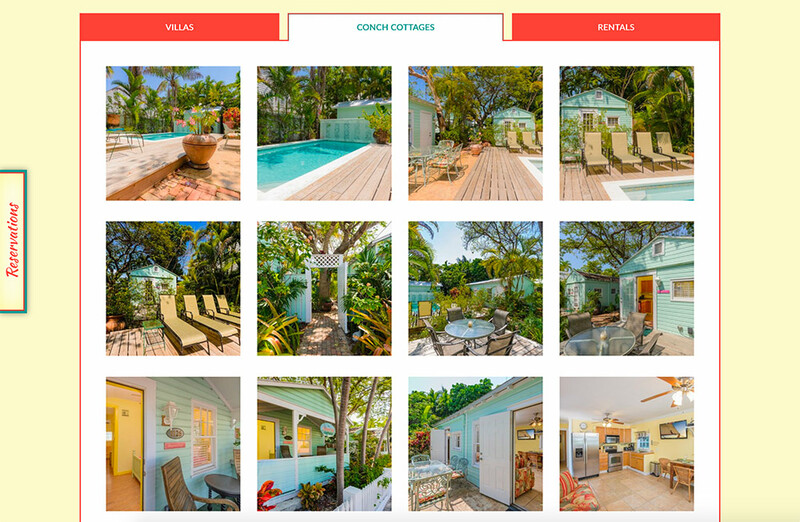 Thus, our team got to work and put up a temporary website with current photos to simply act as a place holder until we could get his custom site built and online. 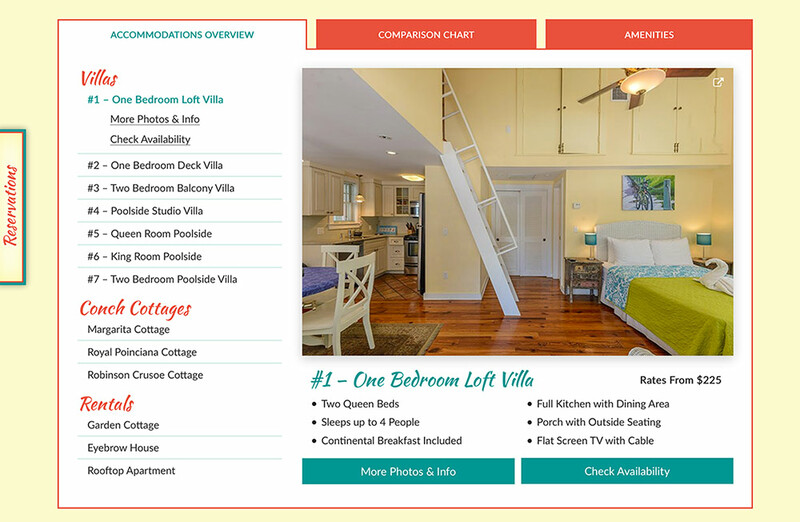 In the meantime, our team worked on marketing objectives and goals so that when his new site came online, he would be able to quickly take advantage of the always rock solid Key West tourism market. Take a few minutes to browse through this colorful and vibrant site! 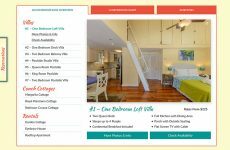 We just recently launched the site and as soon as it went live, the site began to have a big impact on their bottom line. 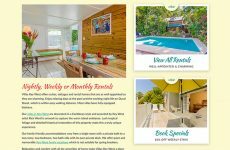 This family friendly vacation rental offers 7 unique villas, 3 cottages, and several rentals to accommodate all types of travelers. 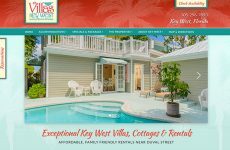 The Villas Key West crew also hired a local photographer to capture the beauty of their property as well as the surrounding area. 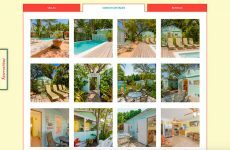 Enjoy the functionality of the new site and take a peek at the interactive map where you can find all the Key West hot spots! Thank you for the opportunity to work with you on developing a site we could all be proud of!